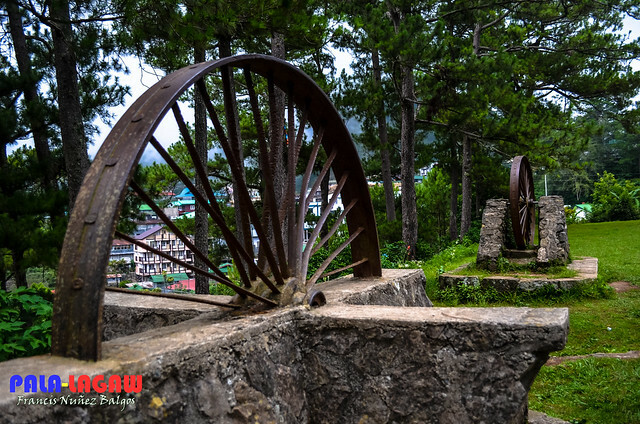 As part of a day tour, this is more of exploring Sagada's cultural heritage. Being that this trail is very near the centro of the town, Trekking Echo Valley starts by visiting the small church that looked more like one of those american county churches, very much charming and quaint. The church looks at home as framed by huge Pine Trees and unique architectural design. 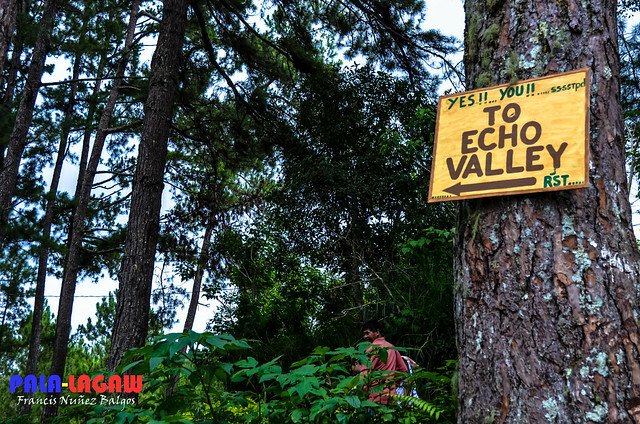 After the church, a short trail leads to the towns cemetery, and a little further from it, is a trail leading to Echo Valley where some of Sagada's hanging coffins are laid. It should be noted that there are only 3 countries in the world where you can find hanging coffins, China, Indonesia and Philippines. 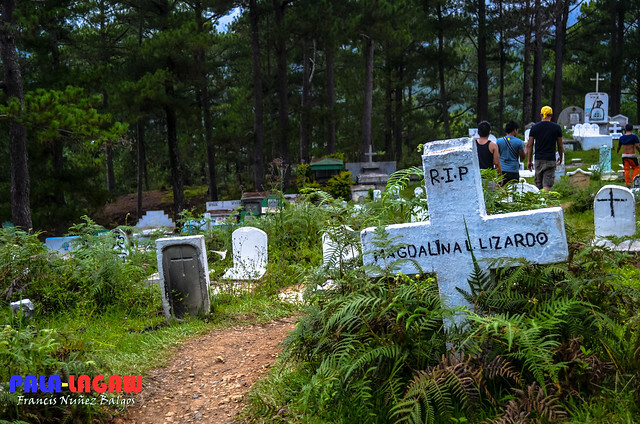 This unique cultural practices are dying out, even in Sagada where people try so hard to cling to old practices and tribal rituals. 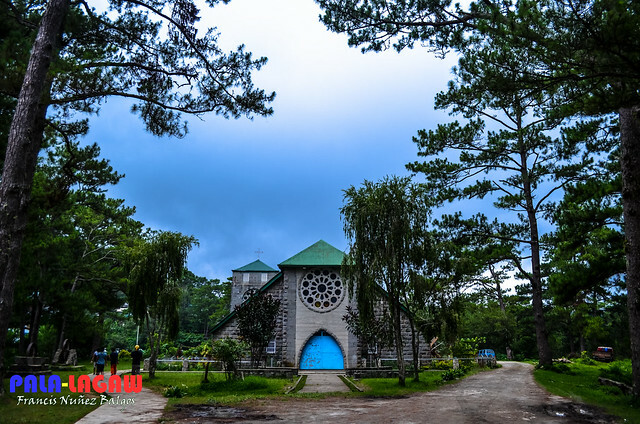 Colonial influences are felt with great impact even to places as far up as Sagada. The coffin designs had become influenced by Americans, and even having a cemetery to bury dead love one's instead of hanging or placing them in sacred caves, all these and many other factors like civilization, the influx of tourist and even education are making an impact on the conservation of these cultural heritage. I feel glad though that they are even attempts at conservation and tourism though has its cons also help makes sure that relics like this can be experienced by generations to come. It was my second time to take this tour and I was eager to take photos especially the town's church. Looking back at the photos I took last year, I deduce that I totally bungled the photos for the church as I was more interested then to shoot the hanging coffins. This time though, with the friends I brought, I allowed our guide to take them with his lecture of the park while I lugged behind taking considerable time to shoot landscape shots. I also like shooting trail paths, a kind of preference I take on every trips. Trail paths provide leading directions in a photo, even a look window perhaps, it makes a photo a lot more interesting especially with a hint of human element on it. It's not surprising that my friends didn't choose to walk down the valley. The trail leading to the hanging coffins requires a little effort because going the path is too steep and can be muddy especially with all the rain that this place is getting. As for me, I've seen the hanging coffins up close, so for now we'd settle for looking at it from a vantage point on a hillside. This funeral practice is very rare, as it is very peculiar. Preparing the body alone calls for a ritual that takes days even weeks to accomplish and deserves a separate feature if I ever get the chance to witness it. We should never forget that these are tribal communities, with their own cultural practices and beliefs that require a greater understanding. 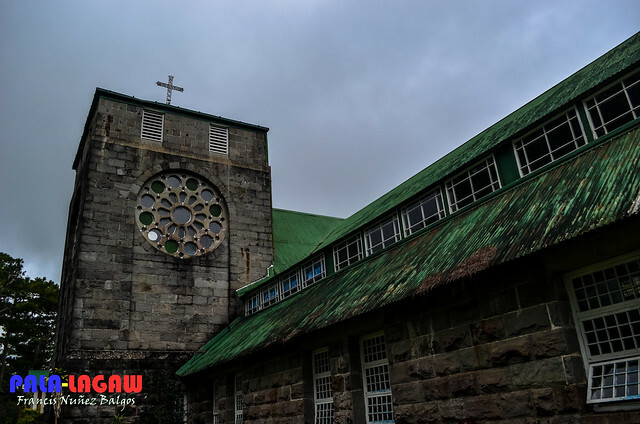 The establishment of a catholic church amidst the center of what would we normally refer to as Pagan and Tribal culture has been a cornerstone to what we know Sagada of today. Most people are already leading a modern lifestyle with tourism at the very heart of it. The cave and hanging coffins is viewed as part of their rich history, along with the magnificent caves. Most of the elders here had never explored some of the caves on their own time, it tells us a fact that these are considered sacred and deserves utmost respect. Already, a few of the coffins are vandalized. You can't expect people to wear traditional clothing except perhaps when they are in the middle of performing rituals. Even Halloween celebrations are unique here as instead of burning candles, people would instead burn the core of a pine wood in front of the graves. It would be a sight to behold, something I wish to witness maybe by next Halloween if I'm not exploring other destinations in the country. So for now, this would do, I explored Sagada once again. the church in the last photo looks really creepy, plus the treatment of the photo even made it look even more creepy. i've never been to sagada before though. Great photos. I want to go to Sagada but your photos made me feel I was there for a while. same here... been there twice already with my family. Love the photos! Nasa bucket list ko talaga ang Sagada! if i could just have the time in the world! this is place the perfect place to be! clouds within your reach, cool breeze, stress free! 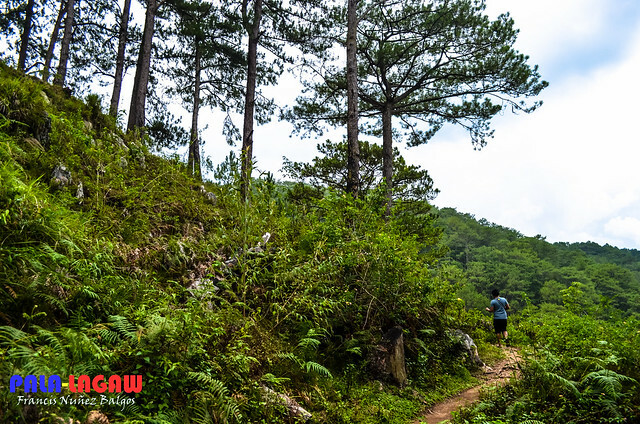 Every time my friends and I plan for Sagada, it never pushes through :( Your photos make me want to nag them even more lol but I dont think I'll be walking down the valley as well haha! Hmm, this is another side of Sagada that I have never ever seen. Akala ko puro mountains lang sya. I wish I could join you on your next trip Francis. I had the chance to go to Sagada 10 years ago but didn't. Looking at your pictures makes me wish I did. 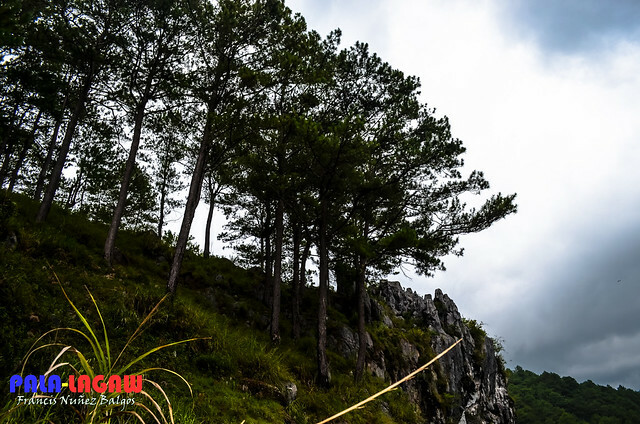 Sagada is one of the places I would love to visit on my next vacation leave. Heard so much about it and I am really set to go there next time. because of the green color... excellent captures.